Central defeated Letcher County 15-1 Wednesday night thanks in part to Ben Huffman, who drove in five runs. Huffman drove in runs with a double in the second and a single in the third. Letcher County took an early 1-0 lead in the first inning. Central took the lead for good scoring two runs in the bottom of the first inning. Bryce Adkins singled driving in Peyton Compton to tie the game 1-1. Adkins later scored on a wild pitch giving the Hawks at 2-1 lead after one inning. Central put the game out of reach scoring 11 runs in the third inning. The Hawks scored on a single by Avery Meadows, an error, a walk by Jeb Wilkerson, a single by Gavin Crum, a single by Zac Crum, a double by Meadows, and a single by Ben Huffman. Bryce Adkins picks up the win for Central tossing three innings, allowing one run, one hit, and striking out five. Central had 13 hits in the game. Ben Huffman led the Hawks at the plate going 2-3 with five runs batted in and Zac Crum was 3-3 with a double and one RBI. Avery Meadows (2-3), Peyton Compton (2-3), and Ben Huffman each collected multiple hits for the Hawks. Avery Meadows and Gavin Crum each had two RBI’s in the game for the Hawks. 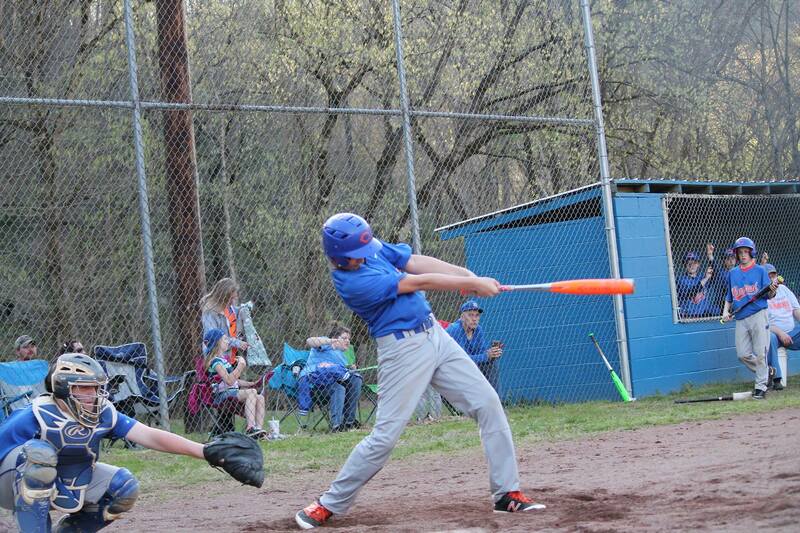 Central Junior Varsity also picked up a 5-4 win over Letcher County tonight. Jackson Wilkerson earned the win for Central. He tossed two innings, giving up one run, one hit, and striking out two. The Hawks collected six hits. Brady Adkins and Andrew Wood each collected multiple hits for the Hawks. Wesley Williams, Jackson Wilkerson, and Dalton Harris each drove in one run to lead Central. Central will be back in action Friday night against the Phelps Hornets at Johns Creek. First pitch is set for 5:30 p.m.